I only came across #CraftBlogClub when I joined the Twitter-sphere late January (I'm a bit slow on the uptake technology wise!). Started by Emma at Frugally Peachy it is a sociable network for all craft bloggers including a weekly twitter networking chat (using the hashtag CraftBlogClub of course!). Each month Emma sets a challenge, with this month's challenge being "I Re-Love You". 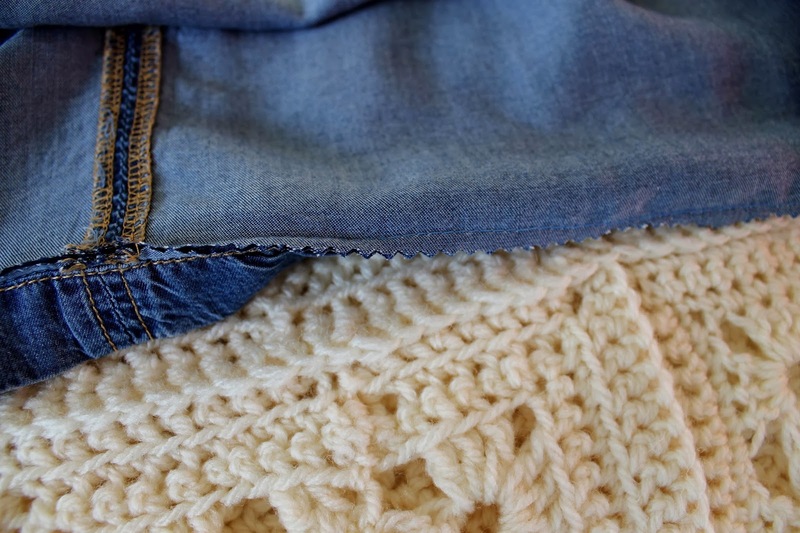 This challenge is laid out here on Emma's blog but to sum it up you find something you once loved but has gone out of favour for whatever reason and change it in some way to make it used again. When I first saw it I couldn't wait to give it a go....what to do however??? I don't have masses of DIY experience, nor do I have masses of materials or equipment. What I did have however was a dress that just doesn't 'fit right'. 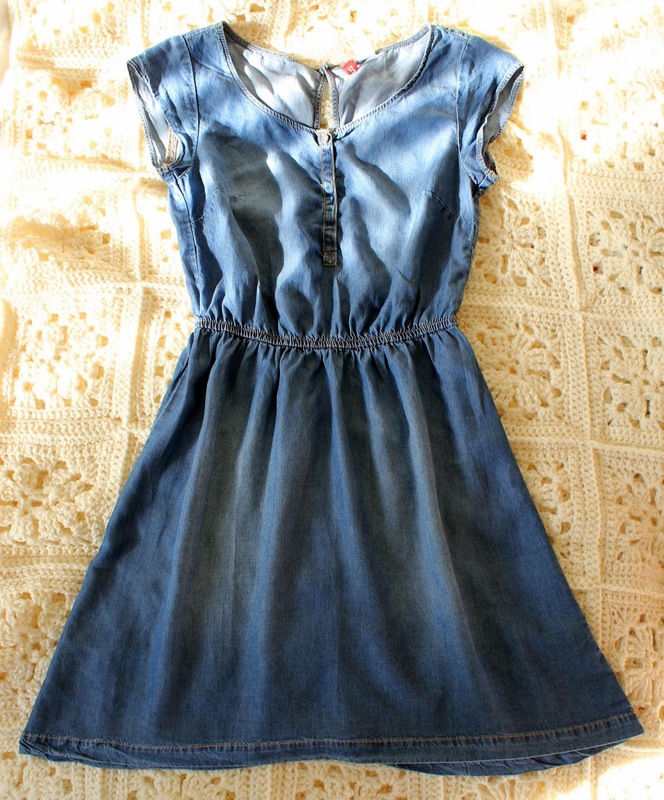 I was on the look-out for a denim dress for ages when I came across this one in a high-street store. What more I had a voucher for said store so purchasing it was a no-brainer. I tried it on in the shop.....seemed ok.....wore it a couple of times and realized it had major problems! Well, two major problems. The back is a lot longer than the front so when I wear it the front is a few inches above my knees, with the back being almost knee-height. This meant that it hung really badly and the extra couple of inches on the back really dragged it down. 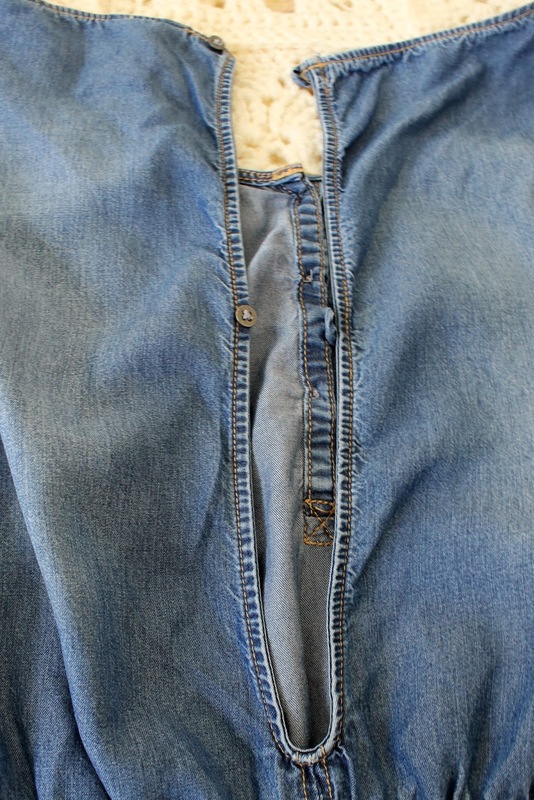 It has an open back secured by two small buttons. The button loops are bigger than the buttons. Cue every time you move they undo. Pretty embarrassing if you are out! 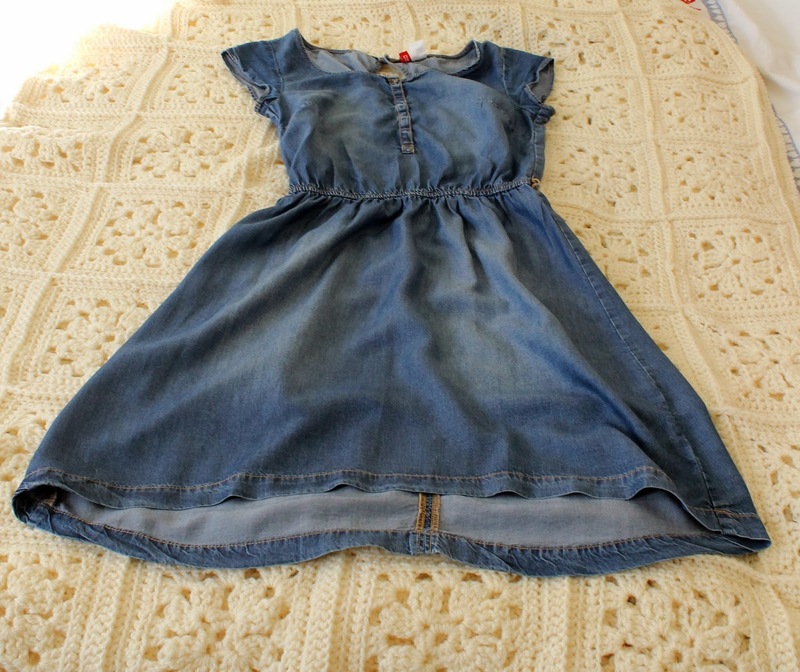 My up-cycle isn't as drastic as some of the others as I really like the dress the way it is (minus the two major problems of course). I like how it is plain and simple, how it can be dressed down or jazzed up with a colourful brooch. I think that the real problem with this dress is that it was made poorly in the first place. I'm no dressmaking expert but I can see that the fabric has been a bit distorted by the central seam, and that the fabric is not lying flat at the hem. 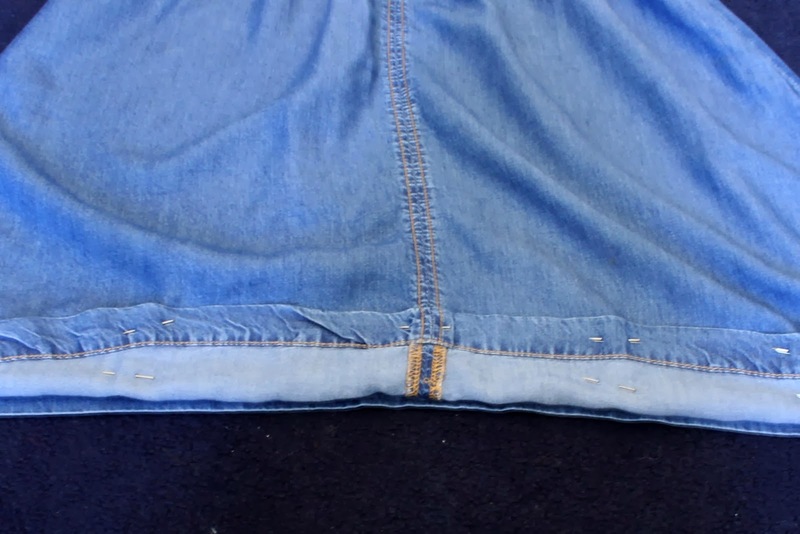 I recently saw a Great British Sewing Bee video online teaching you so take up jeans whilst retaining the original hem so decided to use this method on the back of the dress. Having pinned up the back to the required height (bit tricky as the fabric wasn't straight either!) 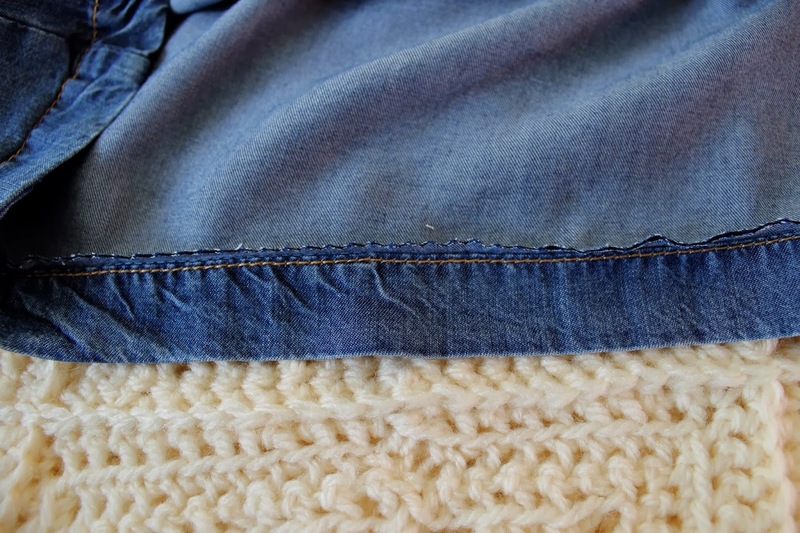 I machine-sewed very close to the original hem. 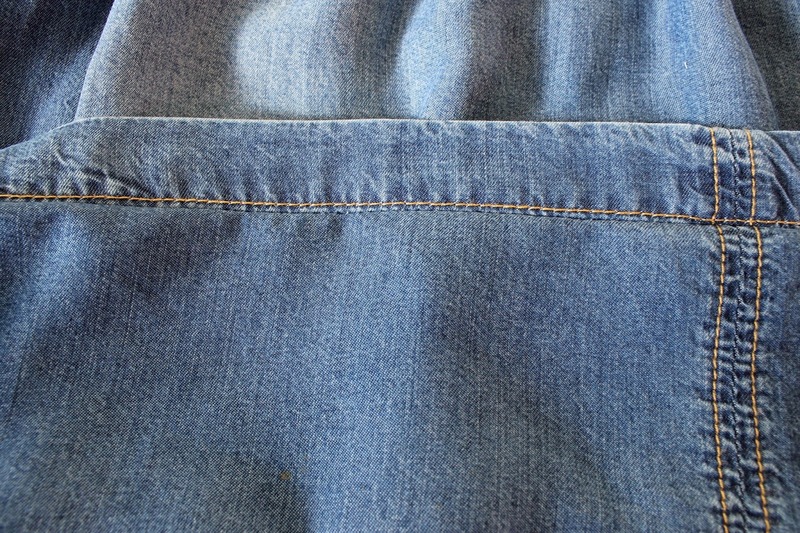 I then folded the hem back down, pressed and cut off the excess fabric using pinking shears to prevent fraying. A picture of the right side. You can only just see the new line of stitching just above the original orange stitching. I'm pretty pleased with this. It is a massive improvement from before. 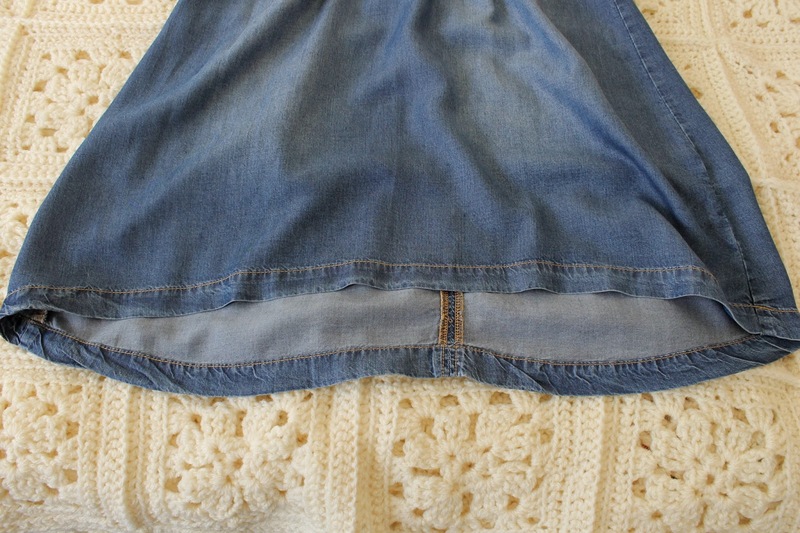 The hem is still not entirely straight as I can see a bit of the back hem poking out on the right hand side. However this is not noticible when I tried it on. This dress now hangs nicely and I no longer risk exposing myself when the buttons decide to pop un-done! I will definitely be wearing this dress more regularly. I wish I had done this sooner as these small changes have really made a difference. I can now officially announce that I Re-Love this dress! I will be sharing this post here on frugallypeachy.co.uk so please check out everyone else's projects. 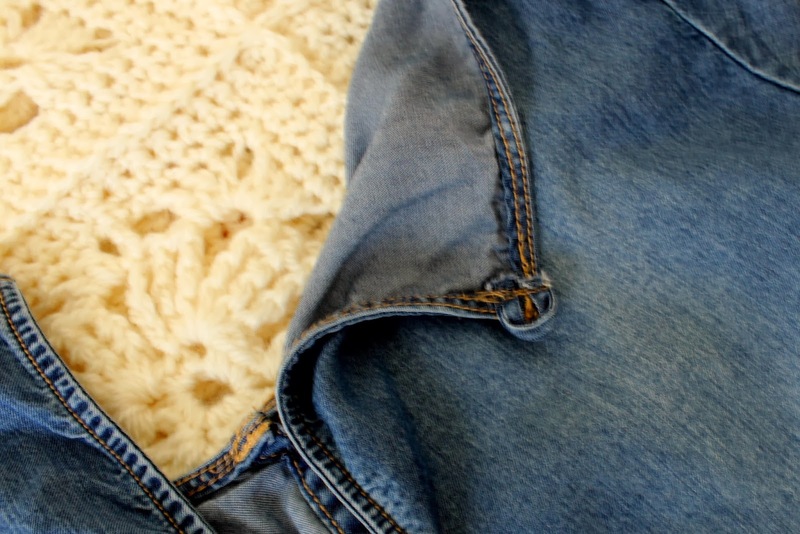 Also check out Emma's blog as it is fab and one of my new favourites! Apologies for a lack of pictures of me in the dress I had no-one to take them today, and also apologies for being so late on this challenge- you know how it is!